308/365 A sign of whats to come, originally uploaded by phlegmmy. It's raining in the picture, but it has already snowed. 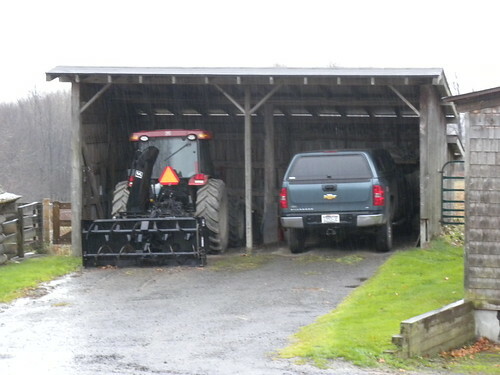 I was staying at the farm for a few days and noticed that David had put the snowblower on the tractor. I'll need to dig out my snowblower instructions!